Jesse Lumb was born in Kirkheaton, Yorkshire on 1847, the second son of Joseph Lumb (1811-1879), a worsted yarn spinner who had moved his operation into Folly Hall Mill, Huddersfield, in 1853. Jessie joined the firm, and became an 'overlooker' (supervisor if a group of workers) and eventually became the head of the firm. His name became identified with the company, even until closure in the 1980s the workers and local residents knew the mill as "Jesse Lumb's". We'd include a picture of Jesse here, but despite several attempts we have been unable to find one. If you can help, please contact us. Jesse never married; latterly he lived at Fieldhead, Park Drive, Huddersfield with sister Annie Lumb. He died on 27 December 1929, leaving no will and an estate valued for probate at £540,623 gross to be administered by his brother and sister. 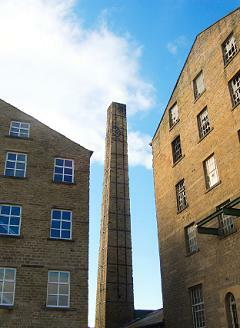 Joseph Lumb & Sons, which in later years specialised in spinning high-quality worsted yarn from fine merino wool imported from Australia, continued in business in Huddersfield until the 1980s. The name survives today in the Bulmer and Lumb Group, whose 'Lumb's Golden Bale cloth' is named after a prize awarded by the original firm to the produce of the best quality wool. However, the spinning is now carried out in Poland. Today, the name of Jessie Lumb is now best known, or at least most listed in web searches, for the lifeboat named after him. Jesse Lumb served as the lifeboat at Bembridge on the Isle of Wight from 1939 to 1970, becoming the last of her type in service. Since 1980 she has been preserved at Imperial War Museum Duxford. In August 1999 she was inscribed on the National Register of Historic Vessels, becoming part of the National Historic Fleet, Core Collection. 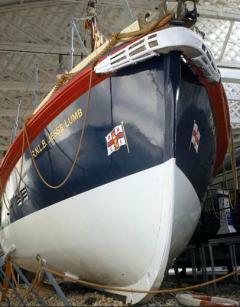 Jesse Lumb is a 46-ft Watson-class lifeboat constructed from mahogany with a diagonally planked double skin. She was powered by two diesel engines with twin propellers, and displaced 20.5 tons. Jesse Lumb served throughout the Second World War, saving 138 lives during the conflict. On the night of 29/30 January 1940, Jesse Lumb spent 14 hours at sea in freezing weather while rescuing the crew of the trawler Kingston Cairngorm off Chichester. Coxswain Harry J Gawn was later awarded the Royal National Lifeboat Institution's Bronze Medal. On 8 August 1940, during the Battle of Britain, Jesse Lumb went to the assistance of a Royal Air Force air-sea rescue launch that had been machine-gunned by German aircraft. The following list of early residents of Jesse Lumb's houses on The Crescent is from the 1911 census: at that time, April 1911, Nos. 8 and 10 The Crescent were as yet 'uninhabited'; by 1914 the electors were Henry Charles Taylor at no. 8 and Henry Morris at no.10. George Robert Barringer (1869-1948) was born in Wakefield, Yorkshire and had lived in several towns in England with his father, a Grocer. Charlie Jeffcoat (46) Gentleman; retired commercial traveller in incandescent light mantles. Charlie Jeffcoat (1868-1950) was born in Levenshulme. The Ramie company of Primrose Mill, Marple made gas mantles: perhaps he worked for them. Elizabeth Shepherd had lived with her late husband James in 'Shird Fold' on the other side of The Crescent: see separate feature. Their eldest daughter Catherine married artist Frederick Davenport Bates: see separate feature. Alfred Robinson Dear (1859-1917) was a farmer's son from Wispington, Lincolnshire who came to Manchester to work as a warehouseman, and became manager of a linen dying company, living at 30 Marshall Road, Levenshulme before becoming a salesman. He married Kate Swinton in 1903; Percy Alfred Dear was his son by his first wife Emily who died in 1896. John Helm (1829-1916) was born in Stockport, son of William Helm, a machine broker, and followed his fathers trade. With his wife Lydia he had five daughters. From the Electoral Register section 'NC': Men over 21, women over 30. Alfred Leonard Curtis (1861-1940), born in Lincoln, was a self-employed agent for 'artificial flowers and millinery'. He died in 1940, but his son Kenneth Hastings Curtis (1908- 1985) lived in the house with his wife for several years afterwards. From the Electoral Register section 'NC': occupants over 21. Notice that by this date members of the original families still occupy nos. 8, 10, 16 and 20. By 1939, however, all had changed hands at least once since since 1911. This plan accompanying the deeds of No.6 The Crescent, 'Ingleside', (marked in red) dates from around 1965. 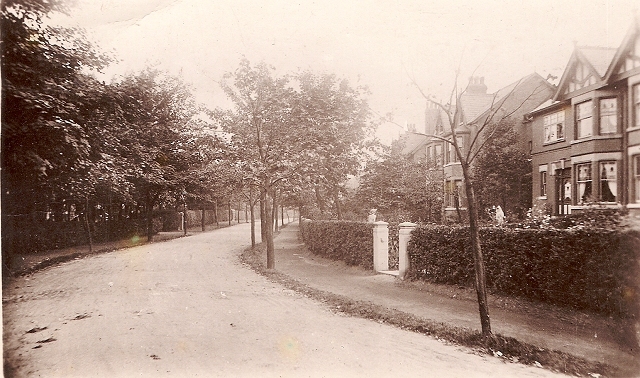 It is evident that while the Williams family were the owners of both 15 and 21 Egerton Road, Jesse Lumb's original boundary was varied to give No.15 a larger garden, Since that time, a house, 17 Egerton Road, has been built on part of the space, and a building in modern style has appeared in the area behind the pond as an annexe to the children's home established at No. 21. 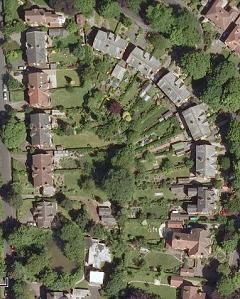 Otherwise, the houses on this plan has changed very little in nearly 50 years, a tribute to Jesse Lumb and his builders. Including detailed histories of No.6, The Crescent and No. 12, The Crescent. The picture above is from an Edwardian postcard, one of many local views published by the Stockport firm 'Grenville Series'. It shows the street in Davenport known in early days as Davenport Crescent, today known simply as The Crescent. 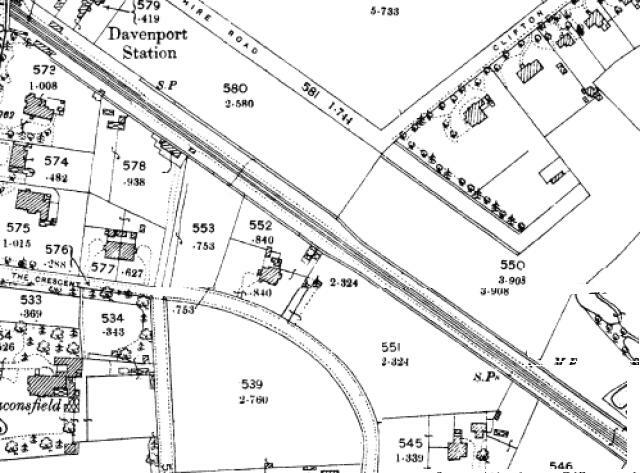 As described elsewhere on this site, the name 'Davenport' was originally applied to the area, including Davenport railway station (opened in 1857), lying between the junction of Kennerley Road / Garners Lane with Bramhall Lane and on the south the boundary of Bramhall. All was part of the estate of the Davenport family of Bramall Hall, and for many years has been farmland, but after the station opened, the Davenports started to sell land in the area for housing. The map above shows the area in the 1860s, with just a few houses in place. Note that there was at that time a way under the railway, provided by the railway company for use by the farmer; there is no trace of this today. It must have had quite limited headroom. 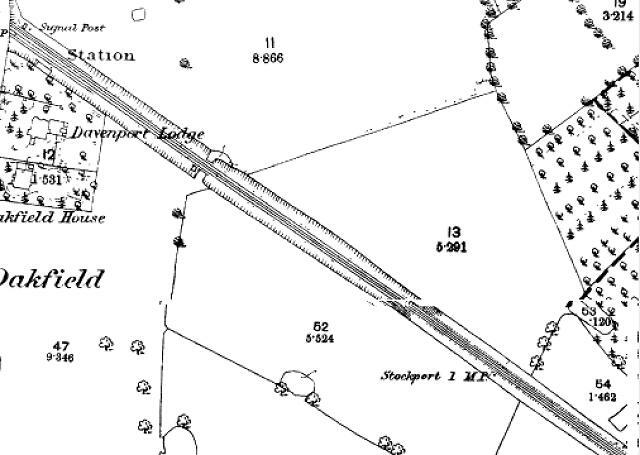 The first farm to disappear was Mile End farm; the farmhouse stood near the junction of what is now Davenport Park Road and the Stockport - Buxton road and the land farmed included the area which became Davenport Park on the Stockport side of the railway. On the Bramhall side of the station, plots adjacent to Bramhall Lane were popular, and large houses were built for wealthy Stockport industrialists, including 'Beaconsfield', subject of another feature on our site, which became the home of Isaac Leigh, whose mills in Stockport carried out the spinning of both cotton and worsted wool. 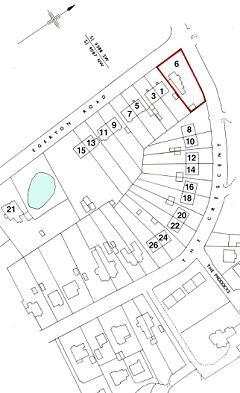 At some point, a short side street was laid out to to allow access to the land behind, and named Babington (or Babbington) Road, and a street parallel to Bramhall Lane behind 'Beaconsfield' which was named Egerton Road. The map above was published in 1898, and shows the quadrant-shaped area inside The Crescent, and a large part of the area adjacent to the railway, still undeveloped. In 1877, John William Handley Davenport sold Bramhall Hall and the remainder of the estate to the Freeholders Company, a firm which appears to be have been created for the purpose, and in which Davenport himself had an interest. 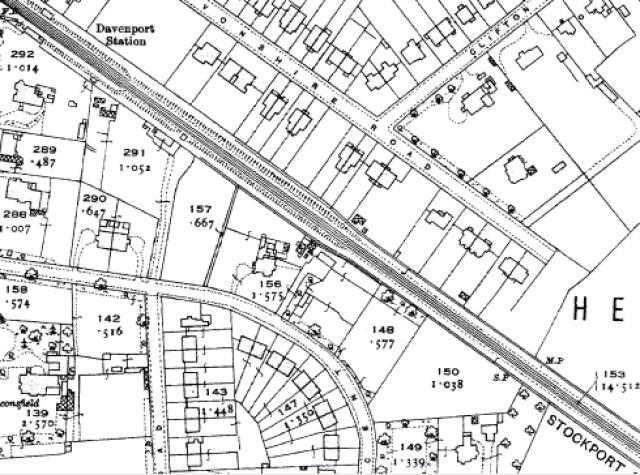 The company continued to sell parcels of land, and (it appears) extended Babington Road to form Davenport Crescent, and much of Mile End Farm on the Bramhall side of the railway initially passed to John Hooley, of Edgeley Road, Stockport, a Nurseryman, who we assume initially used the land for his plant-growing activities. 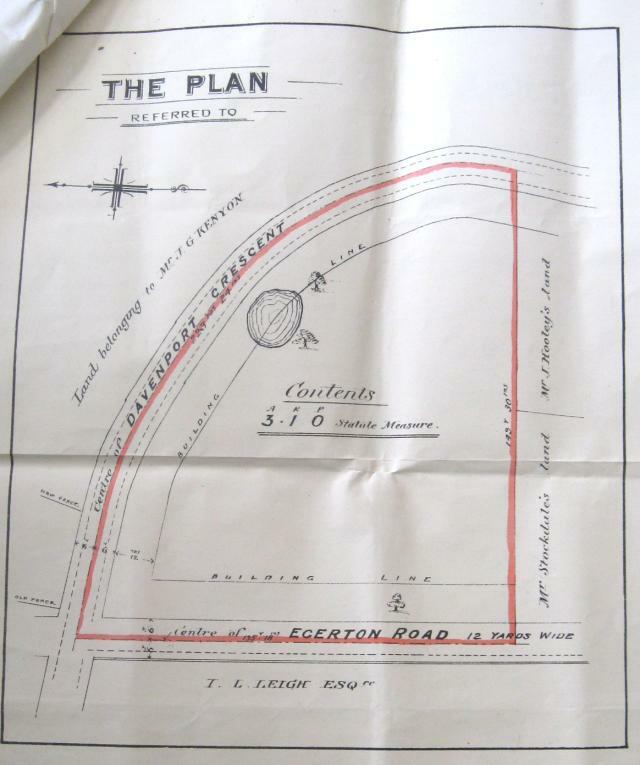 In 1888 Isaac Linney Leigh took the opportunity to acquire from John Hooley a quadrant-shaped area of land on the opposite side of Egerton Road behind his house and grounds of 'Beaconsfield', as shown in 'The Plan' above. Note that North is to the left on this plan. Over the next few years this plot was involved in a series of hard-to-understand financial transactions, but was not built on, until in 1902, it was sold to for £1325 to Jesse Lumb, a Yorkshire-based worsted spinner. It is likely that Isaac Linney Leigh knew through business connections as they were both engaged in the worsted spinning industry, although on opposite sides of the Pennine hills. Lumb's intentions were clearly to make money from housing development. 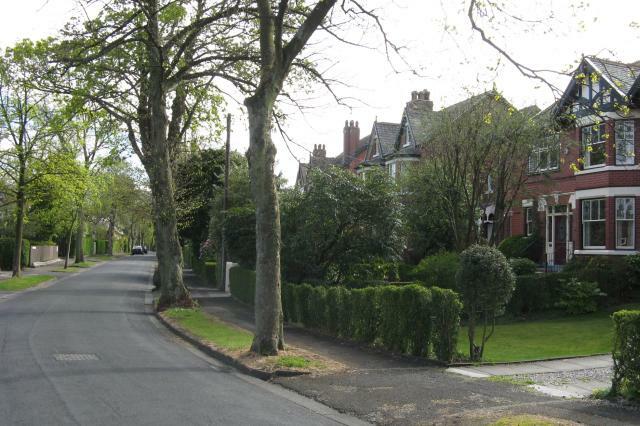 By 1910 four pairs of semi-detached houses (1-15) on Egerton Road, a single detached residence (6 The Crescent) on the corner of the two roads, and five pairs of semi-detached houses (even numbers 8 - 26) had been built around the curve of The Crescent. The map published in 1910 shows all Jesse Lumb's houses completed. Built in typical Edwardian style with front walls of hard Accrington brick, construction of them proceeded together, with building of one house beginning while the lower part of the adjacent one was allowed to settle. Jessie Lumb sold nos. 24 and 26 when new in 1909, but appears to have retained ownership of nos 6 - 22, eventually selling them, mostly to their sitting tenants, in 1919 - 20. All these houses still exist in 2014, and as our pictures show, have altered little externally apart from the usual removal of gates, etc, to allow for the motor car. Several residents of Jesse Lumb's houses have long tenures in this pleasant location, and with the kind co-operation of the current owners we will trace the story of no. 14 in some detail. Early residents of 14 The Crescent, as listed in the 1911 census, were William Knowles, his wife Caroline Knowles and just one 'general servant' (or 'maid of all work') as was the custom in such houses at that period. Of their five children, four had already died. William was a 'shirt and underclothing manufacturer', who had been born in Bollington, Cheshire in 1853, where he followed his father Jacob into the village's cotton industry. In 1881 he is listed as a 'tripe dresser, employing 2 men' but by 1891 he had started in business as a shirt manufacturer in Manchester, living at 'Abbey Cottage' in Droylsden establishing premises in Manchester by 1895 at 23a Wharf Street, Ancoats and by 1909 (above) alongside the Ashton Canal at 192 Great Ancoats Street, Manchester. 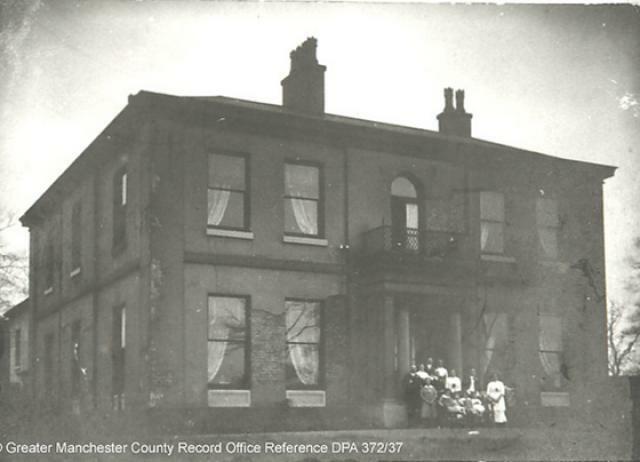 He must have been successful in business, as by 1901 the family had taken on a large mansion called 'Alderdale Hall' (seen above) in Droylsden which had been built for Nathaniel Buckley, a cotton spinner of Ashton-under-Lyne. On moving to their new modern home in The Crescent, they kept the memory alive by naming it 'Alderdale'. In 1912, Alderdale Hall was advertised to let, described as 'compact: beautiful situation, with small lake, large kitchen garden, greenhouses, vinery, etc. Rent £60 per year.' The hall no longer exists, having burned down in 1929. Harry Knowles worked for his father as an 'underclothing cutter' to learn the trade and later became cashier for the firm. 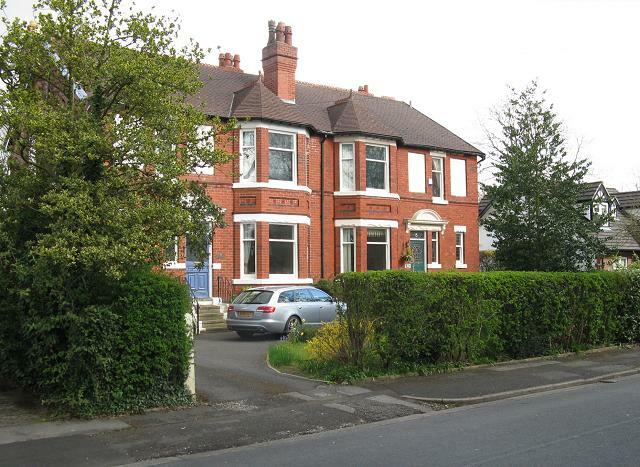 He married Ivy Agnes White in October 1907, and by 1911 they were living at 146 Bramhall Lane, part of Oakfield Terrace, a short distance from The Crescent. Jessie Lumb's houses were new at that time: did his parents move there to be near their son? William died in 1920; it seems the house had been rented from Jessie Lumb until then, as it is recorded that it was sold to William's widow Caroline Knowles in that year, subject to a rent of £5.18.4 annually. She died in 1923; Harry Knowles inherited the house, and promptly sold it on to William Foster Rhodes, a company director, of 40 Linden Grove, Woodsmoor. William Foster Rhodes was born in 1883 in Brooklands, near Altrincham and from 1890-1900 attended Merton House boarding school in Penmaenmawr, North Wales where his father, also named William, was headmaster. He then returned to the Manchester area to stay with his uncle, Walter Eustace Rhodes. Walter Eustace Rhodes was Jones Fellow in History at Owens College, Manchester for 1892-93, worked as a librarian, and wrote a number of articles for the Dictionary of National Biography, and a textbook A School History of Lancashire. In 1911, living at 324 Oxford Road, Manchester, he described himself as 'Author and Translator'. He died in 1918, apparently while on military service in Cornwall. Young William studied engineering for two years at the Manchester School of Technology, followed by a three-year apprenticeship as an engineer at Mather and Platt's Salford Iron Works where he worked under pioneer electrical engineer Edward Hopkinson. He then obtained a post as chief engineer with Henry Faulder & Sons, who at the time had three factories in Stockport making confectionery, chocolate and preserves. Henry Faulder's wife was William's aunt, which might have helped his application to succeed. William married Lucy Calvert in 1909, and his name is listed (incorrectly spelled) in the 1911 census living with his wife Lucy Rhodes and baby daughter Mary Winifred Rhodes in a small house at 6 Countess Street, Davenport. In 1911 he left Faulder's to be a partner in for Rhodes, Cochrane & Co. who were setting up as 'Millwrights and General Engineers' in a mill at Gorsey Brow, Waterloo Road, Stockport. As engineer and adviser I had control of 6 to 10 mechanics, besides the usual engine drivers, firemen, &c. My object in taking this position was to obtain an insight into the running of a large plant and to acquire more practical experience. I only commenced work as Manager of Messrs Rhodes, Cochrane and Co. Ltd. on Oct. 4th 1911, and as the firm only started business on that date we have not quite finished the equipment of the works. We expect to employ from 10 to 20 mechanics, but I shall do my own designing. By 1916, aged just 32, he was Managing Director of the firm, by now called Rhodes Brydon & Co. Later it became Rhodes, Brydon and Youatt, with a factory in Reddish specialising in centrifugal pumps, employing 225 people by 1961, but the business was wound up in 1964. William is listed at 14 The Crescent in the 1924 Electoral Register with his wife Lucy, but the 1934 register has no entry at all for the house; He completed repayment of the £705 mortgage on the house in 1933, and so far we have not been able to track down any records of his activities after 1924. He died while residing at 1 Gladville Drive, Cheadle on 6 April 1961, leaving his daughter Mary Winifred Rhodes to administer his estate. Stepping forward to 1939, the Electoral Register for 14 The Crescent lists Harold Vincent Holroyde and Kathleen Olive Holroyde. They came to Stockport from Halifax, where Harold had been born to George Scholfield Holroyde, a Post Office clerk and his wife Lily Bertha Holroyde. Harold married Kathleen Olive Glover in 1924. The couple moved to The Crescent from 168 Bramhall Lane in 1937 (taking Telephone Directories as a guide), and by 1940 had relocated to Huddersfield. He died in Blackpool in 1978; his wife lived on until 1990. On to 1946, and at No.14 we find Bernard J. Walton and Ida A. Walton as voters; members of the Walton family have owned and lived in the house ever since. The detached house at No.6 The Crescent, 'Ingleside', which was built along with Jesse Lumb's houses on Egerton Road, which will be the subject of an other feature in the future, and has much the same origin, although both the shape of the plots and the details of residents show that it was built earlier, some time betweem 1902 and 1905. 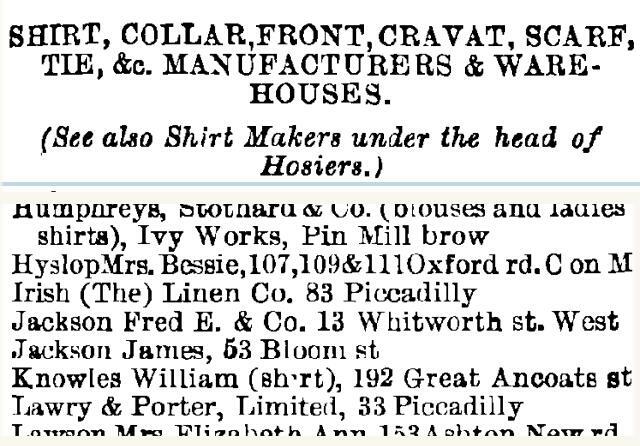 A street directory for 1905 shows the householder of No.6 to be a Joseph Kenyon. Information about him has proved hard to find, but by 1906 he had left and been replaced by Alfred Neill, born in 1870 at Hough House, Kersal, Salford, a Master Pprinter, head of a firm which specialised in chromolithography - that is to say, colour printing. He had followed his Irish-born father James Neill into the printing trade. Alfred married London-born Elizabeth Ellen Jackson in 1903 while living in Prestwich, north of Manchester, where the firm's business was located. Their two sons, Alan Christopher Neill (aged 6 in 1911) who later became a printer himself, and Basil James Neill, son (3) were born in Stockport. In 1911 Ethel Jackson, Elizabeth's younger sister (aged 26) was living with them in Davenport, possibly taking on the role of general servant, as no servant is specifically listed. In later years the Neills left Davenport; when Alfred died in 1929, their address was 32 Beech Avenue, Northenden, Manchester. The next tenant of the house, recorded in the Electoral Register and directories for 1914, was an Arthur Clarke (or Clark); so far we have not been able to clearly identify him from any records. When Jesse Lumb sold the freeholds of the houses in 1920, the buyer, presumably already resident at 'Ingleside', was John Williams. He was one of the four sons of Ebenezer John Williams, founder of the John Williams & Sons grocery business, whose chain of shops included the one at 209 Bramhall Lane, Davenport which still trades as a supermarket under the 'Spar' banner in 2014. Walter married in 1905 and moved with his family to no. 15 Egerton Road, the right-hand house of the pair in the picture above, next door to 'Broadfield', on the other side of the large pond which still exists alongside Egerton Road (The smaller house in the picture is a much later addition.) The story of the Williams family deserves a feature to itself, which we hope to create soon, so we will pass on to our next resident. Edwin's father was a gold-beater in Birmingham, and he died when Edwin was very young. He became interested in Christianity at a very early age and tried to convert those around him. He went to Airedale College, Bradford and trained for the ministry. On graduation he became Assistant to the Rev Millsom, Pastor of the Congregational Church at Southport. (No doubt this is where he met his future wife who was born there). After 18 months he took charge of Pendleton Congregational Church where he stayed for nearly 24 years. His ministry was distinguished by a genuine helpfulness to all who sought his advice and aid. On Thursday 12th February 1891, Edwin was at Weaste Cemetery carrying out his duties as Non-Conformist Chaplain in the morning and visiting his congregation in the afternoon. When he arrived home he complained of being unwell and his medical advisers were sent for. It was discovered that Edwin was suffering from pneumonia and his condition gave great concern. By Monday 16th February, his condition was grave and he slipped peacefully away that evening. He was only 48 years old. Horace attended Salford Congregational school, and later, perhaps after the death of his father when he was just 11, Sibford boarding school, a Quaker-run establishment near Banbury, Oxfordshire. Returning to Pendleton he found a job at the local wallpaper factory, Lightbown and Aspinall, as a clerk, and married Mary Ellen Jones, daughter of Thomas Jones, a local draper, and his wife Mary (born in Tideswell, Derbyshire) in 1910. Mary Ellen grew up in the family shop at 197-199 Ellor Street, Pendleton, a street which disappeared in the 1960s slum-clearance era. Traditionally wallpaper manufacturers referred to themselves as 'paper stainers' as found on Horace and Mary's 1911 Census record which lists them at 4 Barrfield Road, Pendleton. He gave his occupation as 'Assistant (Sampling Dept)'. After three years in a forerunner of the Territorial Army, the 2nd Volunteer Battalion of the Manchester Regiment, and towards the end of World War I, after many younger soldiers had died in that slaughter, he found himself recruited into full-time soldiering, in the Royal Artillery which he joined, aged 35, at Fort Brockhurst, Gosport in August 1917. Interestingly, his war service record has survived, which gives us details of his life as well has war service, including that fact that he was tall, 5 feet 11 inches, and weighed 10 stone 7 pounds. He sailed with his 'siege battery' from Dover to Calais in May 1918, and July was appointed 'unpaid Lance Bombadier' (equivalent to Lance-Corporal). A few weeks later, in November the Armistice was signed, and in January 1919 he and his colleagues were returned to England, transported to the Prees Heath Disposal Area in Shropshire before returning home. He returned to the wallpaper company, which in 1899 had joined the group known as Wallpaper Manufacturers Ltd; by now he held a management post. In the 1920s, it was decided to relocated the factory to a 'green-field' site to allow expansion, and the village of Bredbury, on the outskirts of Stockport, was chosen. In 1929 the new factory opened, and Horace and his family moved to Stockport to live at 'Ingleside'. He and his wife Mary Ellen Jones do not appear to have had any children; the 1934 register shows Margaret Emily Jones and Gertrude Jones, two of Mary Ellen's sisters, living with them. Horace's last entry in a telephone directory was for 1940; it seems they retired to the seaside. Horace's last address was 'Chaseley', 14 Bryntirion Avenue, Rhyl, North Wales, and he died on 10 January 1960 at Bryn Derwen Nursing Home in Rhyl, described at that time as a 'Retired Company Director.' Mary Ellen Walker stayed in Rhyl until her death in 1972, initially accompanied by her sister Gertrude who died in 1968. The 1945 registers list the voters of 'Ingleside' as Charles Francis Carroll, and his wife Eileen Mabel Carroll, and by 1955 their children Ardenne Carroll (b.1927) and Geoffrey Carroll appear, having attained the age of 21. They came from the Camden area of London where Charles had been born in 1898, son of an insurance agent, and his wife Eileen Mabel Montague in 1910. In 1955 or early 1956, they left Davenport, and are later recorded in Stratford-on-Avon, where they enjoyed a long retirement. Charles died in 1992, aged 93, and Mabel in 1997. The 1956 register suggests the property was empty; later that year the Hall family moved in, and stayed for over 30 years. Written by Charlie Hulme, October 2013. Updated 2014. With very special thanks to Mr and Mrs Walton, and to Martin Hall.